Michael Meaney has been selected as the 2014 Klaus J. Jacobs Research Prize Laureate in recognition of his groundbreaking achievements in the biology of child development. A jury of experts selected Prof. Meaney for his pioneering, cutting edge research on the biological mechanisms by which parental behaviour affects brain development and lifelong function. 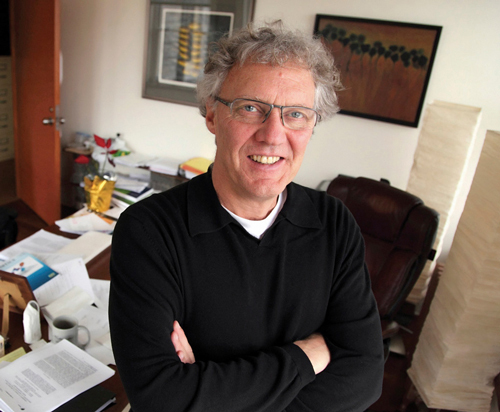 McGill Professor Michael Meaney has been selected as the 2014 Klaus J. Jacobs Research Prize Laureate in recognition of his groundbreaking achievements in the biology of child development. A jury of experts selected Prof. Meaney, who is also Scientific Director at the Ludmer Centre for Neuroinformatics and Mental Health at the Douglas Mental Health University Institute, for this honour for his pioneering, cutting edge research on the biological mechanisms by which parental behaviour affects brain development and lifelong function. The Klaus J. Jacobs Awards were established in memory of its founder, entrepreneur Klaus J. Jacobs, who passed away in 2008, each year since 2009 the Jacobs Foundation has presented two awards for outstanding achievements in research and practice in the field of child and youth development. The Klaus J. Jacobs Research Prize, which includes an award of one million Swiss francs, (1M USD) honours scientific achievements that are of exceptional social relevance in promoting the development of children and youth. The Jacobs Foundation attaches great importance to the practical application of scientific findings achieved through interdisciplinary research. The Klaus J. Jacobs Awards will be presented on Dec. 5, at an award ceremony at the University of Zurich, Switzerland.